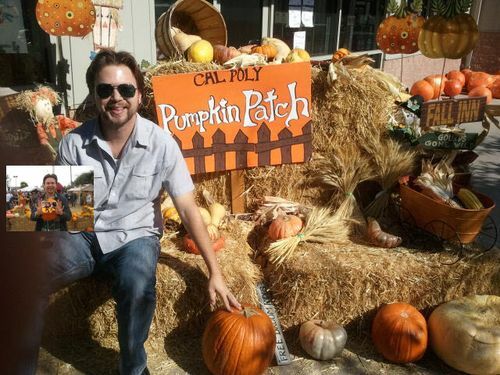 Hard to believe it's the fourth year running for the annual posting o' the pumpkin picture. 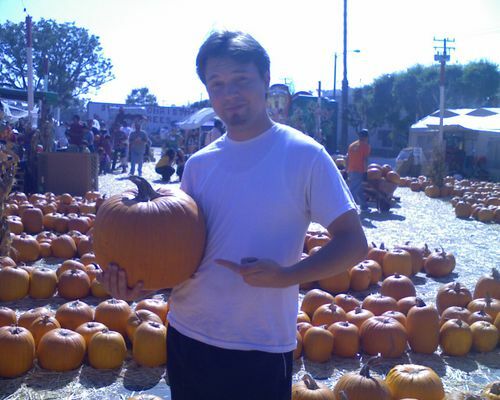 For those of you unfamiliar with this grand tradition, the goal here is to either hold (or photoshop) the previous year's pumpkin picture in the current year's offering. This procedure is inspired by a noble tradition started back 19 years ago by our friends Chris and Alysia. They've put a tremendous amount of care, dedication, and art direction into creating one of the best things you can look at on the internet. My own pumpkin shot was taken this year outside the Farm Store at Cal Poly Pomona. We stumbled across a huge pumpkin patch there at the university's Kellog Ranch this weekend on the way home from Palm Springs. 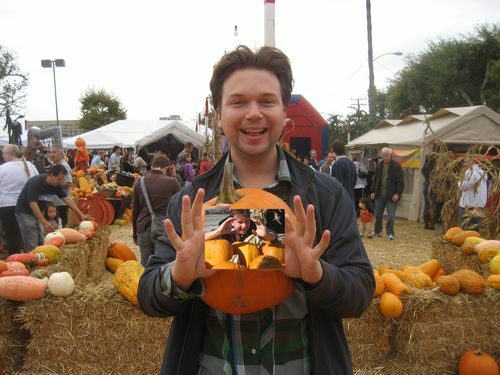 For those interested, you can see the Fake Angeleno's whole series of pumpkin pictures here. That's it for this year. We'll see you the week before the election in 2012.